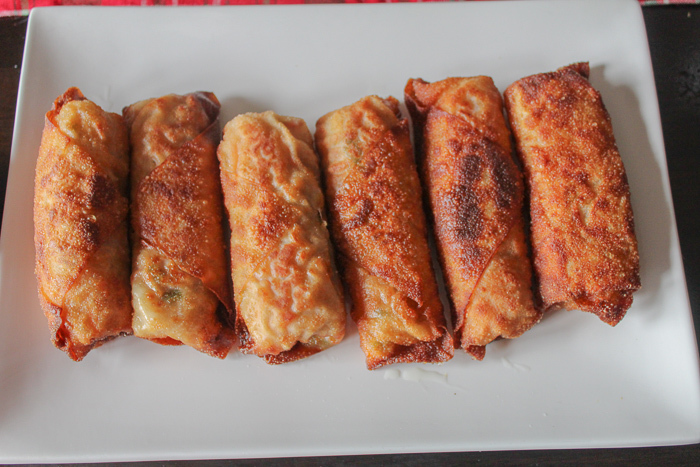 This recipe for Easy Homemade Egg Rolls has been sponsored by JSL Foods. All opinions listed are 100% own. If y’all know me at all, then you know I love to make my own restaurant versions of food at home. 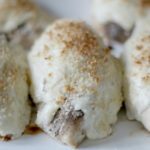 I am a home cook with a love for all things unique and delicious — which is why our family prefers to make our Chinese takeout food (like these Easy Homemade Egg Rolls) at home instead of getting it at the restaurant. 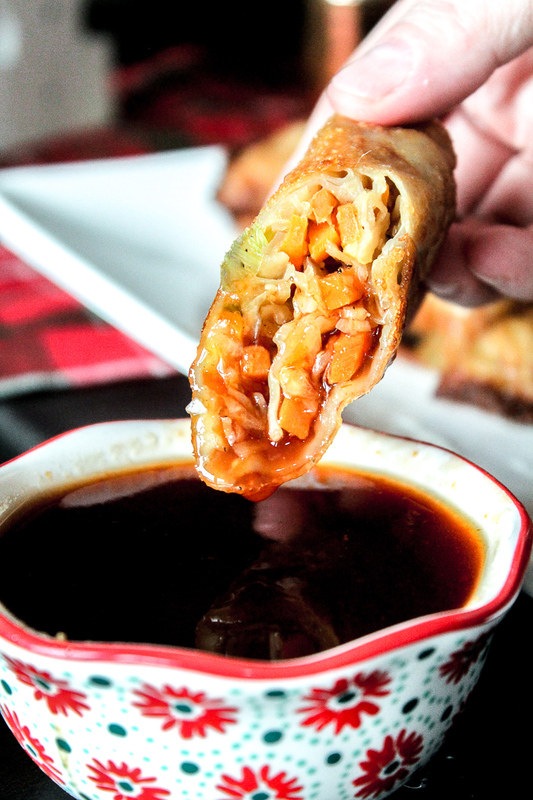 I will be the first to admit – I am not a fan of egg rolls at the Chinese restaurant. I am not sure what the cooks have put in them, but to me, they taste horrible. When my friend Faithie (aka The Family Feeder on Facebook) posted that she made homemade egg rolls, it intrigued me and I wanted to try as well. 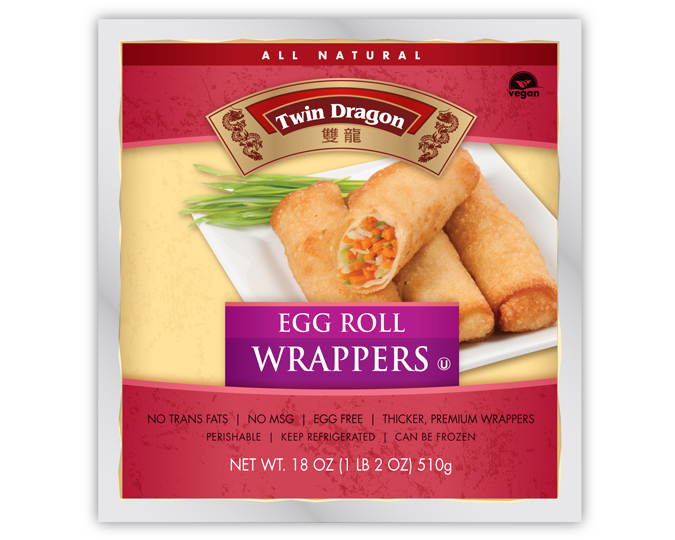 Because JSL Foods sent me a huge package of their Twin Dragon products (egg rolls, wonton wrappers, and dumpling wraps) so that I could make a recipe for them, I knew this was going to be the one to try. 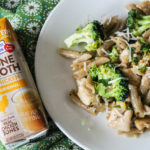 While I did use Faithie’s recipe as the base for this recipe, I did switch a few things up to make it my own! 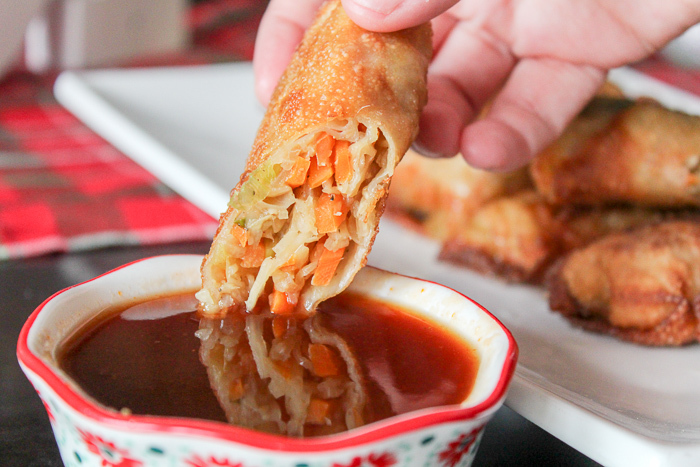 These egg rolls are all vegetable because I am not a fan of meat in my egg rolls. These flavors infuse so well together! 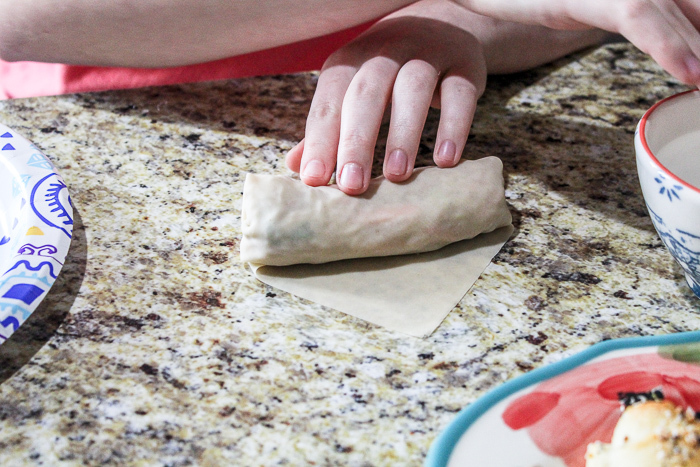 The art of making these egg rolls is in the process of rolling and sealing them up correctly. 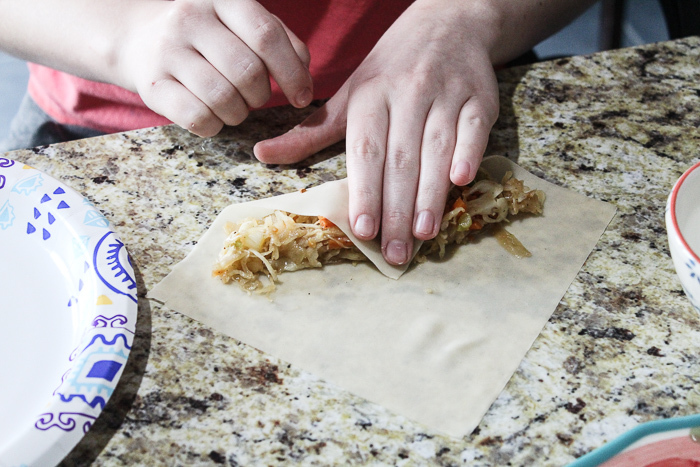 Start by laying out one of your Twin Dragon Egg Roll Wrappers. 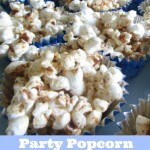 We add in about 1/4 cup of mixture. You can add in more or less — it’s totally up to you, but the fuller you make them, the better they fry up. Lay the wrapper facing you in a diagonal shape. add your mixture in the middle and then fold the first diamond edge up over the mixture, almost completely covering it. Now, you are going to fold in both side diamonds to create what looks like an envelope. From this point, you are going to roll towards the last point making sure to seal everything in. If you can see some of your mixture sticking out, then you did not roll it right and need to start over. 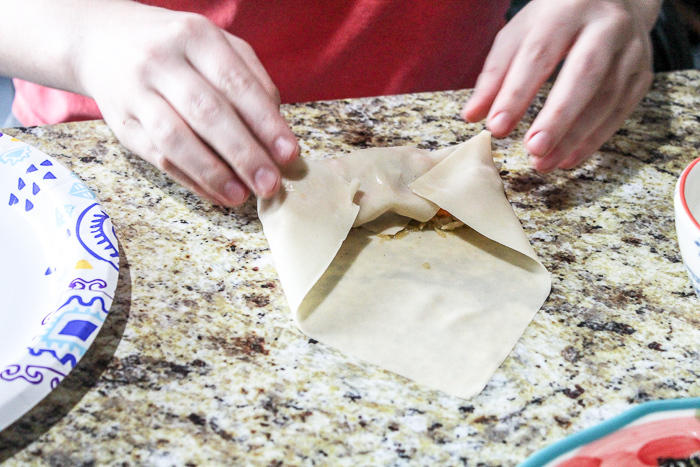 Once you get it all wrapped up, take water and place on the envelope portion of your egg roll and wet it gently. This will seal your egg roll completely once you finish the final rolling. 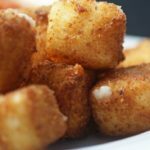 The longer you let them toast in the oil, the crispier these turn out. Then you can serve them with my homemade sweet and sour sauce. 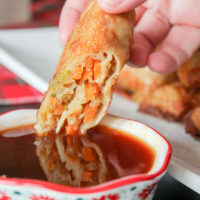 These vegetable filled egg rolls will become a family favorite once you make them! Heat 2 tbsp toasted sesame oil in a skillet. 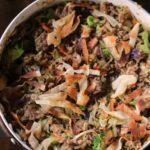 Add all ingredients into the saute pan and saute for 4-5 minutes, or until the cabbage has wilted down some. 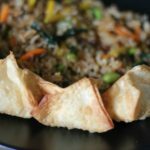 Place your egg roll wrapper in a diamond shape in front of you. Add in 1/4 cup of the cabbage mixture. put it almost in the middle of the diamond shape going all the way across. You can add more or less if you would like. Pull the points to the left and right of the veggies toward the center creating an envelope of sorts. Bring the bottom point up over the veggies and begin rolling. When you finish, the top will look just like an envelope flap. Now, you are going to wet the flap and then finish rolling over to seal everything inside. Heat vegetable oil to 350 degrees in a skillet. The oil should be 1-2" deep. Fry on one side until golden brown and then flip to brown the other side. 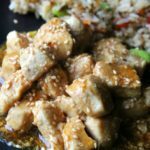 Drain on paper towels and then enjoy with your homemade takeout meal. 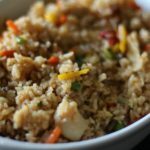 I would need to make my own Chinese food too because it would cost over $80 to feed my family by ordering. 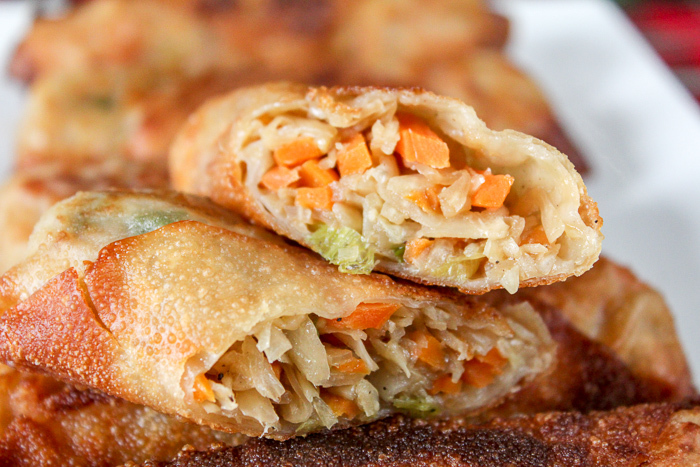 These egg roll wraps would certainly make that easier. You make it look super easy! 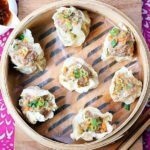 Making homemade egg rolls sounds like a great idea – I love how it allows you to customize the ingredients! Oh yum! I absolutely LOVE egg rolls – will get these wrappers and try the recipe. Yes, please! 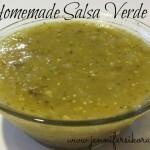 MY husband would love this since we can make them at home!